Peter Vaas knows a thing or two about developing players. And he is well aware of the challenges international youngsters face when it comes to progressing in the sport they call American football. A college quarterback during his playing days, Vaas has passed on his knowledge during a coaching career that has seen him tutor passers at the University of Notre Dame and USF, coordinate offenses in the Canadian Football League and win World Bowl titles in NFL Europe. 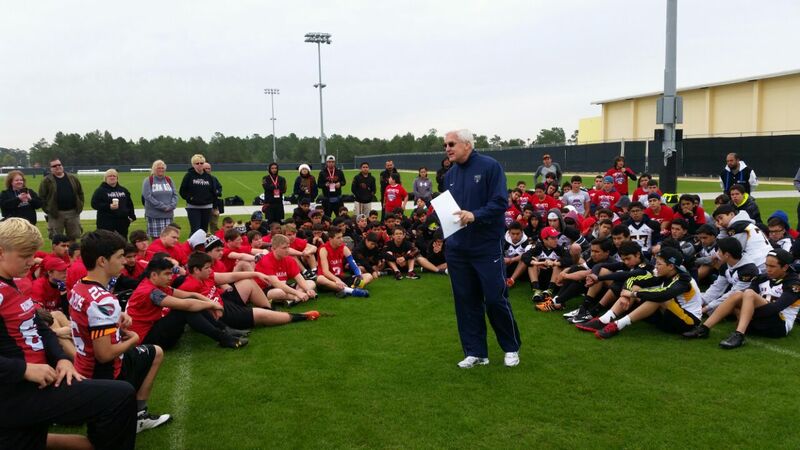 Those credentials and his friendship with Global Football President Patrick Steenberge make him the ideal mentor to inspire some of the international bowl participants at the Pop Warner Super Bowl being played this week at ESPN’s Wide World of Sports. 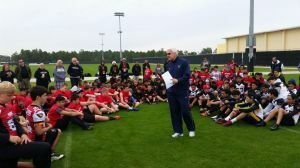 “Any time you can get involved at an organized level of football, you start to ingrain in young men the good personality traits for life, which is what is being taught here,” said Vaas from the Pop Warner Super Bowl speed clinic, where he met with international players from Canada, Mexico and the United Arab Emirates. Pop Warner also helps to develop the fundamental skills of young football devotees and Vaas sees the opportunity to spend time on the field as key to their ongoing nurturing. The international students of the game who are visiting Florida through Global Football’s international element of the Pop Warner Super Bowl do not have as much exposure to the game as their American counterparts. Vaas saw first hand when he coached in NFL Europe with the Barcelona Dragons, Berlin Thunder and Cologne Centurions how that impacted player development. 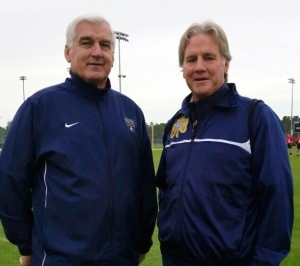 “I’ve always said that the place an American learns is from his first coach and that is his father,” said Vaas. “So when that doesn’t happen in some countries, it has an effect. The world will close the gap when fathers start throwing a ball with youngsters when they are two years old, but it will take a generation or two to pass on their knowledge. The international players will continue their development and maturity when the games conclude on Saturday. Puebla (1-1) will take on the EAFL Falcons (0-2), Mexico City (1-1) face Canada (2-0), and Queretaro (0-2) meet Toluca (2-0), with games played at 9am and 11am on fields 26 and 28. Mexico City and the EAFL Falcons will close out the Junior Midget action when they line up on Field 28 at 11am.